Gorgeous property built in the typical Mallorcan style, with its elevated position enjoy amazing views of Palma bay and the countryside. 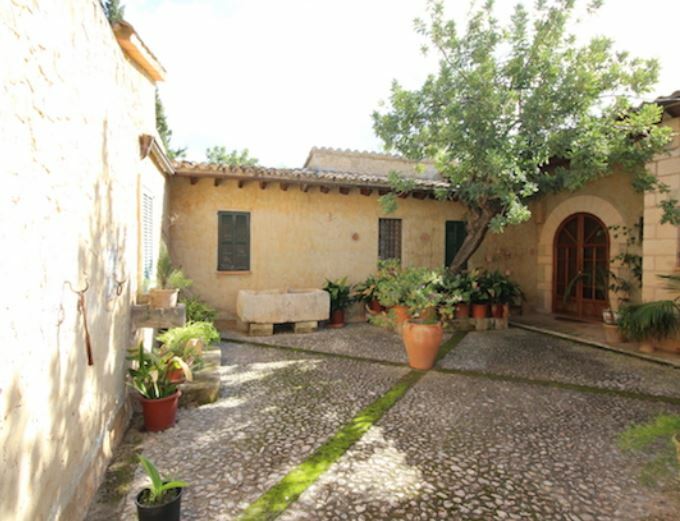 This property is constituted by two main buildings and a guest house over a generous 8000m2 plot, with endless tranquility and privacy. In the main house, of around 500 m2, we have a hall, a kitchen, a spacious dining area and sitting room with fire place, direct access to the most amazing covered terrace with the best views of the bay of Palma. Four double bedrooms and two complete bathrooms, a large basement, double garage, two storage room. On the outside we have a swimming pool with a terraced area for lounges and sun bathing. The second house, of around 180 m2, has two bedrooms and two bathrooms, there is the possibility to build a swimming pool . In the guest house, there are two bedrooms and one bathroom. In need of some renovation but in a very good condition as built solidly to last! The properties have gas central heating and some unit of air conditioning. The estate is divided in three plots, on the last one there is the possibility to build another house with swimming pool. In a very strategic location, surrounded by nature and beautiful views, at only 10 minutes from Palma town and with very easy access, this estate give many possibilities to the buyer, a great investment in a up market area.